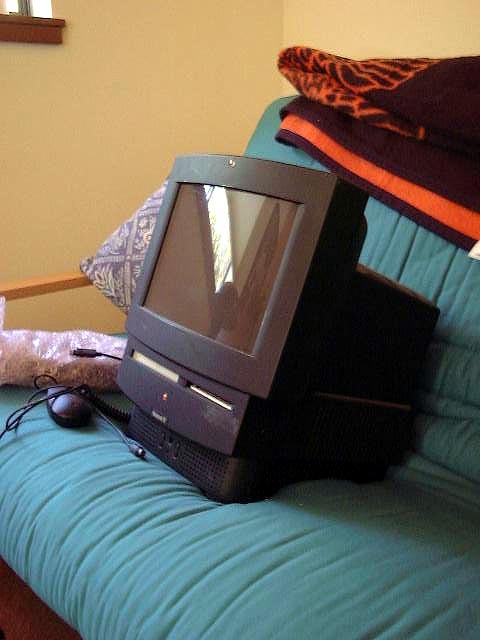 MacTV was an innovative all-in-one unit produced in the early 90s with the concept that college/university students having limited dormroom desk space needed both a TV and computer would opt for this kind of attractive system from Apple. 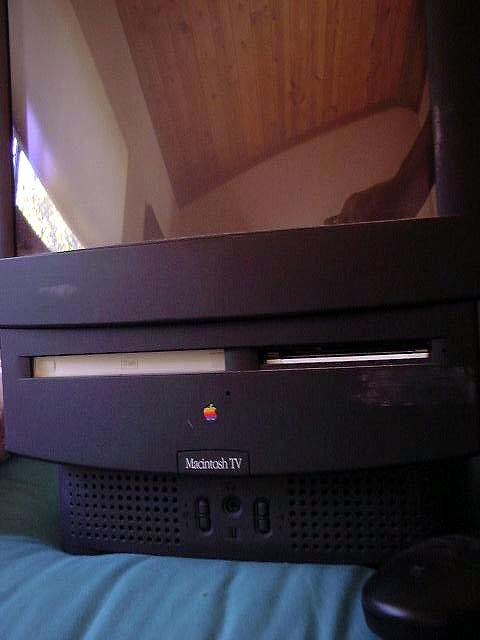 MacTV came with a built in tuner, the usual cableTV an other jacks and even a remote control. 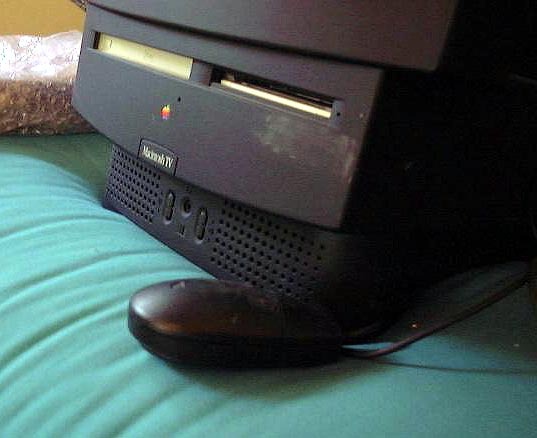 MacTV was never a widely sold Apple product, sold through the internal company store and through a number of university/college campuses. Thanks to Niel Macdonald for contributing this system and to Kurt Neumann for correcting us that it was actually sold on college campuses (at the University of Washington Bookstore in 1992 for instance). dorm rooms, Mac and TV in one! All fits on a couch, perfect for college! Goodbye MacTV, see you again? 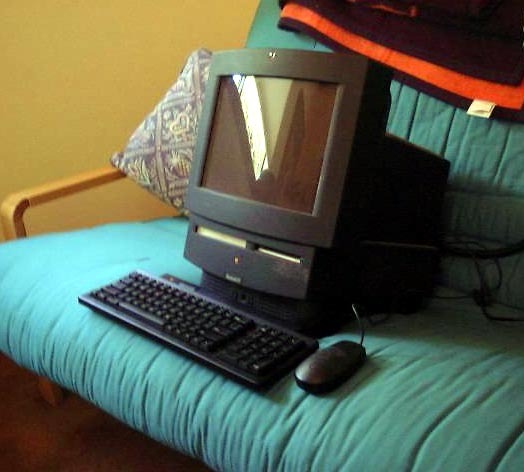 I came across your website in the Mac Panther Bible book. 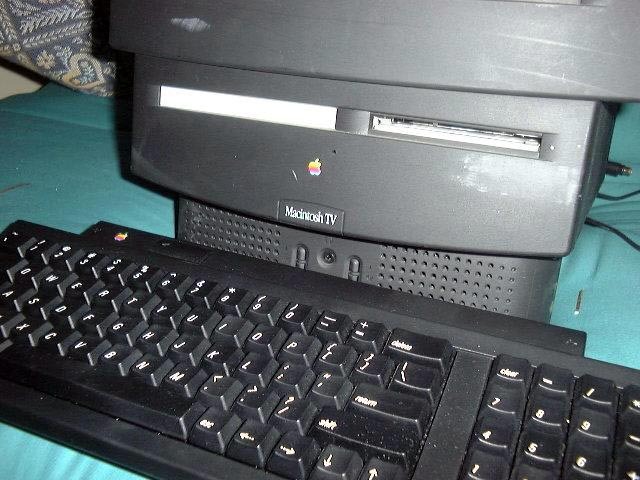 I have an Old MAC TV which is still completely operational, I still have the keyboard and mouse as well (though I will have to check and make sure I still have the remote). 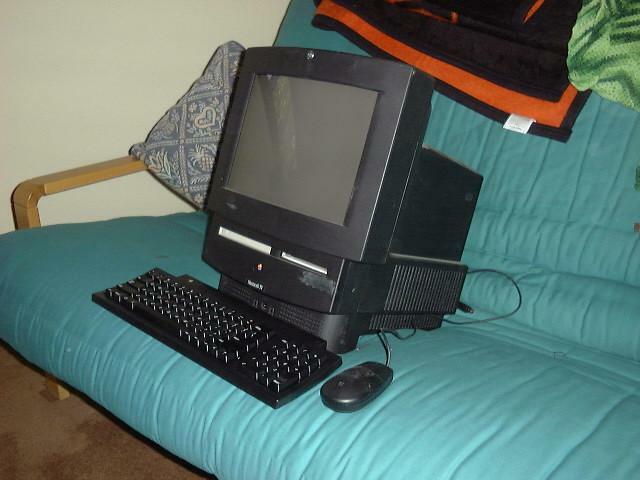 P.S the reason these things didn't do well 8MB of memory not upgradeable! 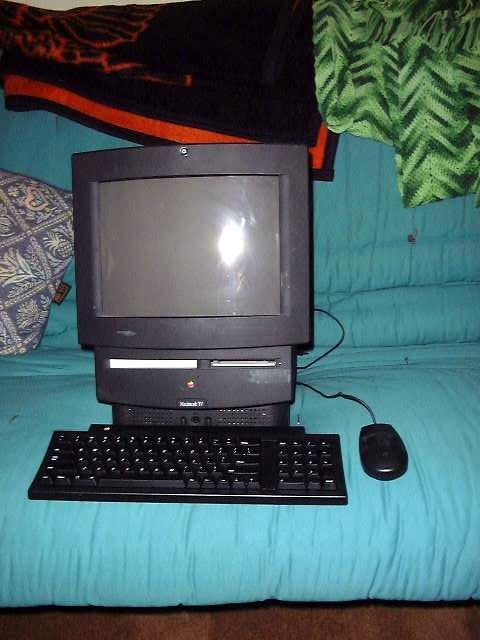 It took about 6months after purchase for it to become obsolete!